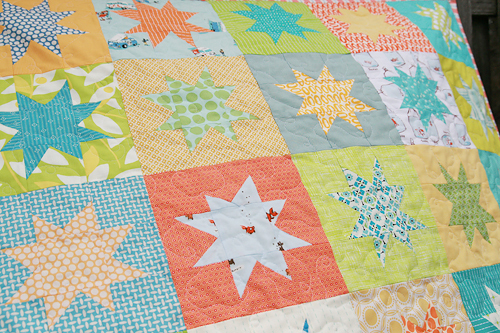 I am so excited about this quilt! A good friend of mine is having a baby boy in a few months. Today is the baby shower, but I had pretty much resigned myself to not having a chance to get anything made in time. 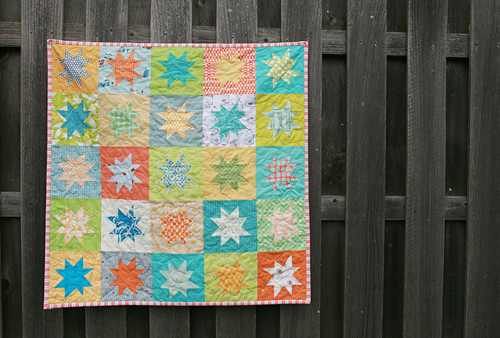 Yesterday though, I decided to challenge myself and try to make a quilt in a day. Or a day and a half to be exact. 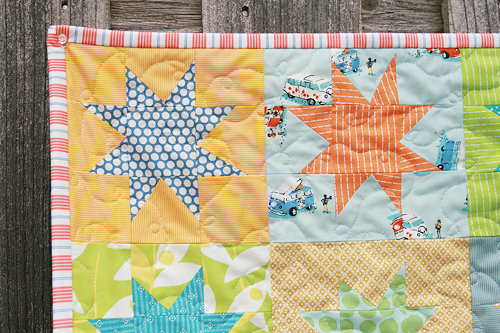 Months ago I was inspired by this quilt by Jolene, and I knew this was the perfect design. For those that have never made a wonky star - here's a tutorial. So I spent the last 30 hours (ok, really probably 12 in total) cutting and piecing, trimming and basting, quilting and binding. Those of you that follow me on Twitter got to watch the whole process unfold. I will be honest, by the end of last night, I was pretty sick of making stars. :) But I really love the end result. 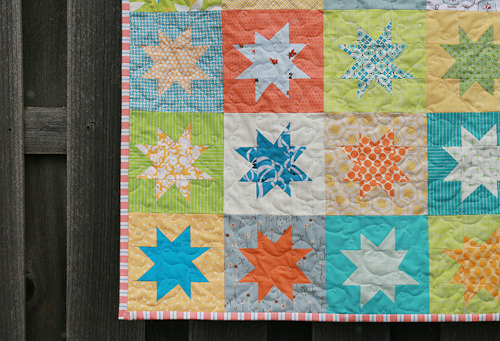 This quilt is for a boy, but really I think these are pretty gender neutral colors. 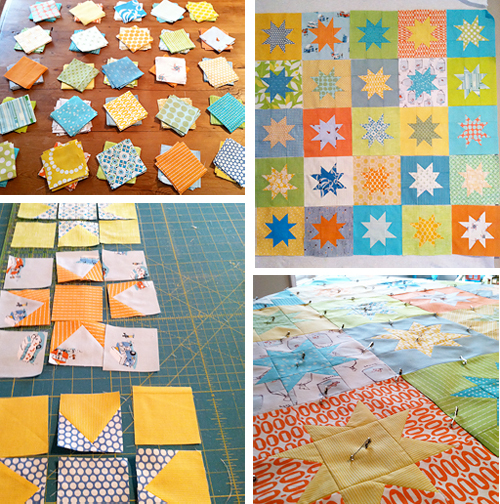 The star blocks are 7.5" finished, the final quilt measuring 37.5" square. Initially I was going to do straight line quilting, but I changed my mind at the last moment and did little free motion loop-de-loops. I've never quilted like this before, but I enjoyed the process and the result. 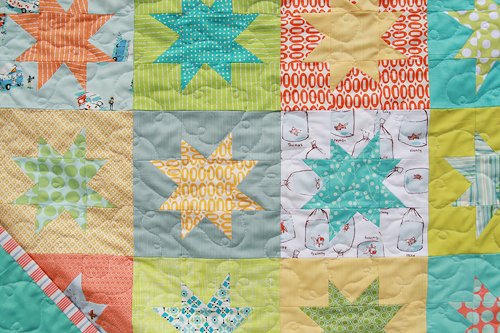 The binding is an adorable stripe from the Sarah Jane's Children at Play line. Such classics. I can't wait to wrap this present up...which I should probably do right now!